is a lecturer in applied ethics at the Steve Biko Centre for Bioethics at the University of Witwatersrand in Johannesburg, South Africa. Research into biological ageing suggests that humans might one day be able to prolong youth and postpone death. When that time comes, extended youth could become a province of the wealthy, adding another devastating inequity to a world already separating the haves from the have-nots. This healthy lifespan (‘healthspan’) gap is already starkly present within and between nations. In the United States, the gap between life expectancy in richer and poorer counties is around 15 years; a similar gap in healthy life expectancy at birth exists between London boroughs. The global healthspan gap is even greater. A Japanese person is expected to have around 30 more healthy years than a Sierra Leonean. These gaps appear likely to grow if effective life-extending technologies reach the market. 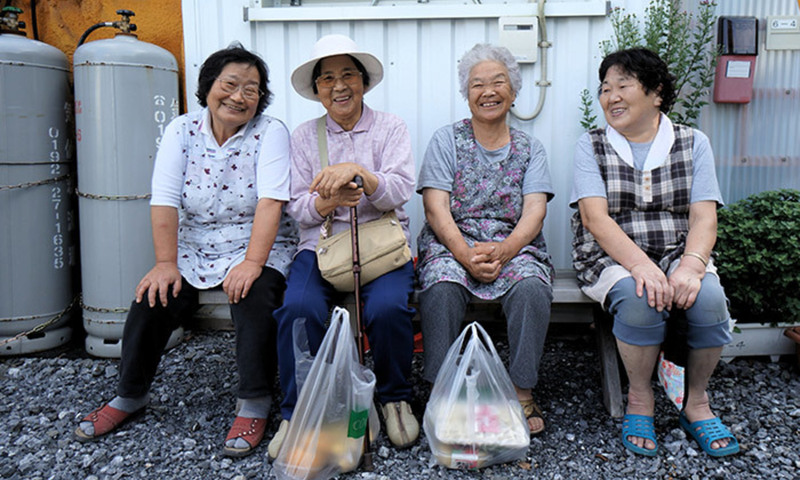 The ability to slow ageing, already demonstrated in animals, likely has contributed to the exceptional healthy longevity of Okinawans, a Japanese population with one of the highest proportions of centenarians in the world. In line with studies on other species, Okinawans appear to maintain a strict low-calorie diet with a healthy intake of nutrients. Some Okinawans studied in the Okinawa Centenarian Study consumed on average around 15 per cent fewer calories than an ordinary American of 1971. According to one estimate, extrapolating from studies on mice, calorie restriction (CR) might result in an average lifespan of around 100 and a maximum lifespan of as much as 160 years. Research on CR is sufficiently promising that the Caloric Restriction Society formed in the US to support people engaging in strenuous CR diets that restrict calories by as much as 40 per cent. But demanding diets of this type are unlikely to gain a wide following. It is unsurprising, then, that research is burgeoning into drugs that will have the same or greater biological effects as dietary restriction. Companies such as GlaxoSmithKline and Google have invested eye-watering sums into research on slowing ageing. In the midst of sensationalist reporting on these developments, ethical questions tend to be pushed to one side. One of the strongest objections (but certainly not the only one) to the use of such technologies is that they would worsen existing inequalities in healthy lifespan along the lines of existing wealth distributions. Even if life-extending drugs were relatively cheap, it is reasonable to assume that the poor, with less disposable income, are likely to spend money on more immediate and pressing needs. An intervention whose benefits, though substantial, are long-term and preventive is more likely to be marketable to wealthier groups who already have longer, healthier lifespans. The ‘healthspan rich’ would get richer, and the ‘healthspan poor’ would remain poor. This could entrench a two-tier society in which poorer groups suffer not only from poverty, but also from comparatively shorter youth and greater susceptibility to age-related disease. The bioethicist John Harris at the University of Manchester claims that this unjust outcome is ‘the major ethical problem with life-extending technologies’. Some bioethicists argue that this justifies a ban on life-prolonging technologies, or at the very least deprioritising research and treatments aimed at substantially extending human healthspans. But this move is too harsh. Besides the practical problems with policing bans and preventing the emergence of unregulated products, banning has some obvious ethical drawbacks. First, banning longevity medications would be an instance of ethically questionable ‘levelling down’. While other bans, such as the prohibition of drugs, arguably ‘level up’ by reducing the harms of banned substances, a ban on extending healthy lifespans explicitly aims at preventing some people from getting too well-off. As Harris points out, this is like refusing to cure one person’s cancer because it would be unfair on those who are incurable. A second ethical problem with banning is that life-extending interventions could be used as treatments for a range of health effects. Humans and other primates that show signs of slowed ageing tend to have lower incidences of cardiovascular disease, diabetes and cancer. This complicates a ban even further: denying the opportunity to receive treatments because they might result in too much healthspan increase appears deeply objectionable. Banning is a bad option, but if avoiding radically unequal healthspans is a priority, what type of policies would best achieve it? Is there a way to increase welfare without creating drastic imbalances in healthspan? Ethicists such as Colin Farrelly at Queen’s University in Ontario and Tom Mackey at Georgetown University Law Center have argued for the widespread provision of life-extending drugs by public health services. This would, they claim, result in a more equal society. In addition, it makes economic sense to prioritise slowing ageing: combatting age-related illnesses will mean that people are free from expensive diseases for a greater proportion of their lives. As a result, biodemographers and gerontologists such as S Jay Olshansky at the University of Illinois argue that anti-ageing technologies will reduce the social burden of ageing. The possibility of reducing age-related diseases and decreasing inequality makes public provision a high priority in the developed world. But would life-prolonging technologies provide similar benefit and reduce healthspan inequality between rich nations and the developing world? In many cases it would not. This is because a life-extending drug’s impact depends on factors that contribute to earlier death. In Swaziland, for instance, premature deaths are commonly related to factors such as HIV/AIDS. If people die before they age, providing drugs that slow ageing won’t reduce disparities. On the other hand, even in the developing world, methods to prevent and treat age-related disease are ever more important. A Lancet report points out that the burden of diseases in low- and middle-income nations is increasingly age-related. With declines in infant mortality, the number of people who live to become more susceptible to age-related disease is growing rapidly. This means that access to interventions that slow biological ageing would benefit many people in the developing world. Healthspan inequalities could be narrowed by postponing and reducing the frequency of age-related diseases. While health priorities differ between nations, health system concerns raised by rapid social ageing are increasingly shared. This means that richer and poorer nations can both benefit from technologies that slow ageing. Banning such technologies would be a disastrous missed opportunity to ameliorate age-related disease and increase healthspan worldwide.